We are eating sashimi of bonito. 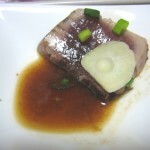 But today, I would like to introduce another popular food “Katsuo no Tataki.” It is slightly roasted like above photo. 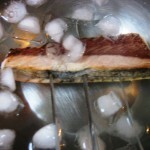 1) Sprinkle normal amount of sea salt on bonito and leave it for a while. 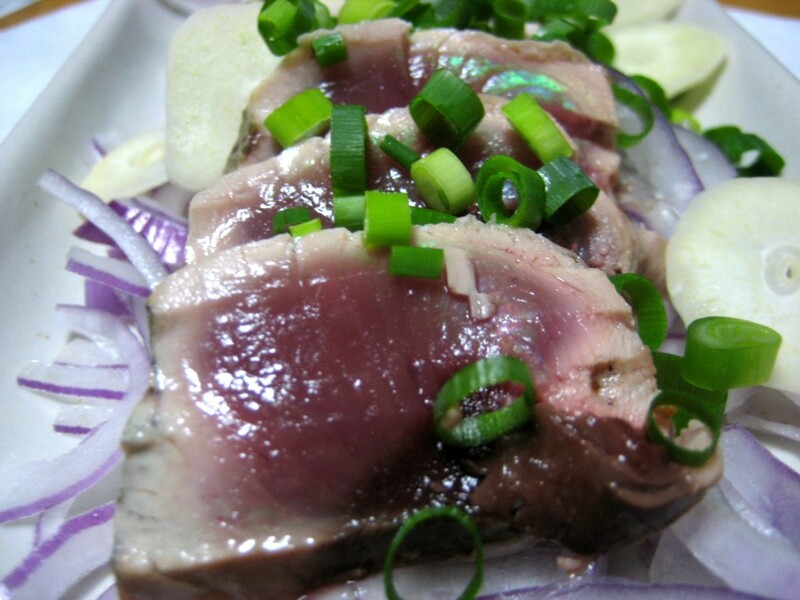 Before cooking it is better to make bonito cold in refrigerator. 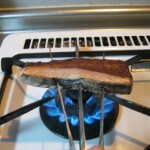 2) Stab BBQ skewer to bonito meat. 3) Roast all sides of it on the stove until its surface is grilled. 4) Put it in ice water and make it cold quickly. 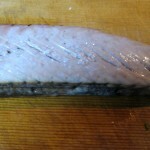 5) Slice it about 1 to 1.5cm width like sashimi form. 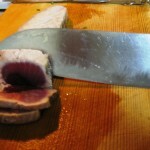 To cut sashimi, you should slide the knife slowly like pulling. The video below will be helpful. 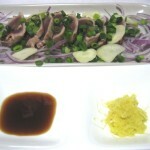 6) Serve it with sliced onion and garlic, chopped green onion and grated ginger. 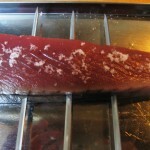 The traditional method to roast bonito is heating it on fire which heat straw because it has much stronger heat. Below video is that. I cannot heat straw in my home, so I used normal stove. 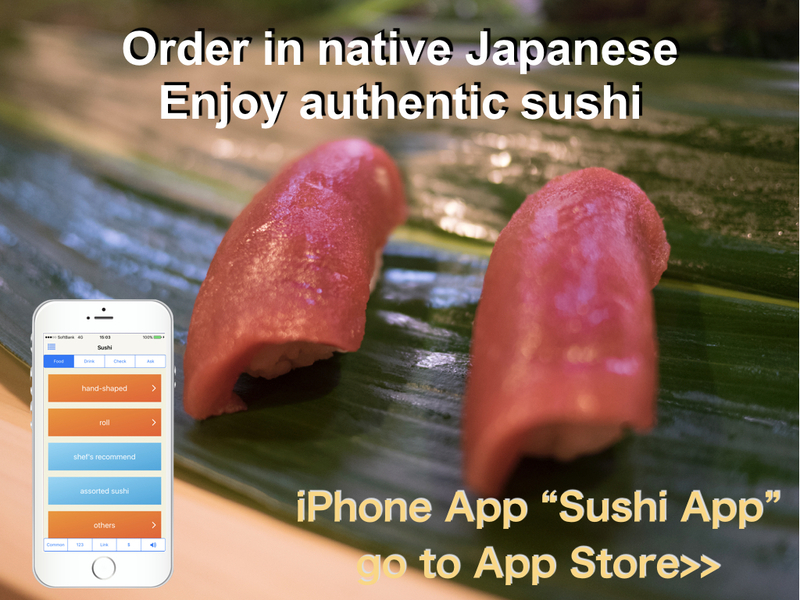 I usually eat it with ponzu soy sauce. Ponzu soy sauce includes yuzu or sudachi (Japanese citrus), vinegar and broth (normally kelp and bonito broth). I think you can buy it at Japanese glossary. It is served as a sauce for Shabu Shabu. Also we use it to eat grilled fish. It is said that hatsu gatsuo is muscle. On the other hand, modori gatsuo has more fat. It depends on you which type you like. Since old time, people think hatsu gatsuo is more delicious in Japan. This is very easy to cook and can be cooked when you will enjoy BBQ. 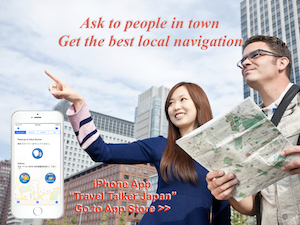 Please try it!